Welcome to the official James Lawrence Isherwood website. This site has been lovingly created with the support of the Isherwood family as a showcase for the work of the famous Wigan artist. I am delighted to give my blessing to this, the official J Lawrence Isherwood Website. My brother-in-law, James Lawrence Isherwood, (Jim) devoted his whole life to art. At last the passionate, unique paintings have taken their rightful place in the art world. Now highly acclaimed in the art world, the work of Isherwood, and indeed his personal battles, were frowned upon by society at large. Now, the art world salutes him as one of the last true “impressionist” painters. 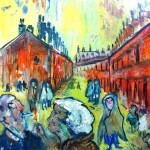 This website charts his personal life story and opens up his world with an Isherwood gallery of genuine paintings inspired by London and Wigan alike. 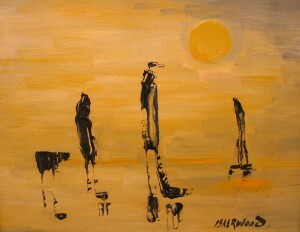 The paintings show all styles of Isherwood’s work, from early, right through to his death.